The thing we are being pushed toward is fear. Whether on the right with the fear of terrorists, ISIS and the "other" as the root of societal woes, or on the left with the real or perceived threat of looming authoritarianism and possible totalitarianism. We are aggressively and constantly barraged with messages inciting our human fight or flight response. 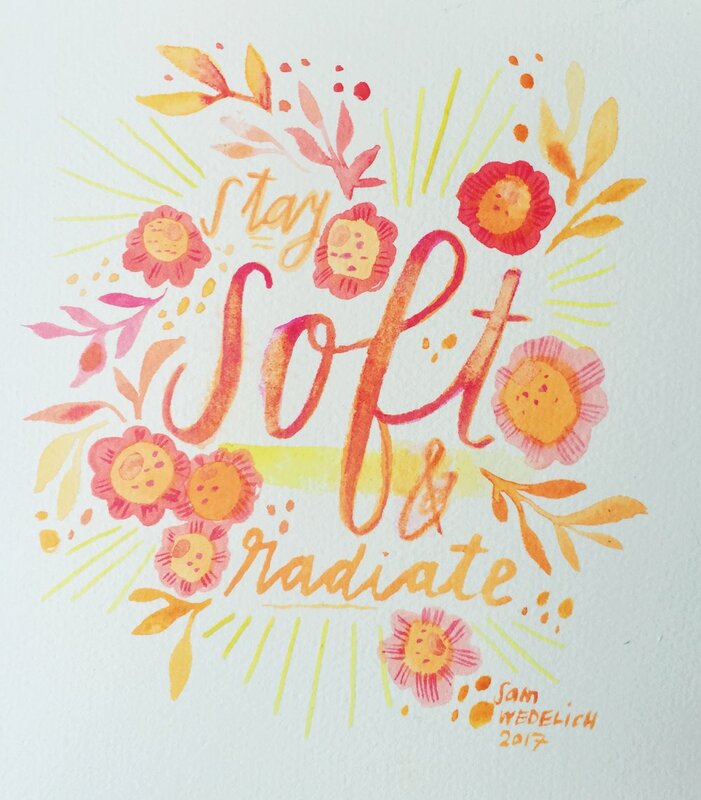 We need to stay soft. I am not saying there isn't a need to protest or stand up. Let me be clear about that. What I am speaking to is our inner posture. My sense is that continuing in the road of "them/us" and seeing our adversaries as inhuman, we will only play into the hand of the chess-masters further. They WANT our hate, they WANT our anger. We cannot afford to give it to them. We need to stay soft. If we are hard, then our energy gets trapped in us, alongside our fears and anxieties. We lose our potency and connectivity to one another and the earth and Spirit. When we stay soft, we can build bridges, we can find a common ground with our adversary, we can LOVE OUR ENEMY and overcome evil. Think of how Harry defeated Voldemort and you'll be on the path. Only love, even SACRIFICIAL love can save us now. This is what we were all made for and the only way we will get there is by staying soft. It is possible to be fierce and soft.